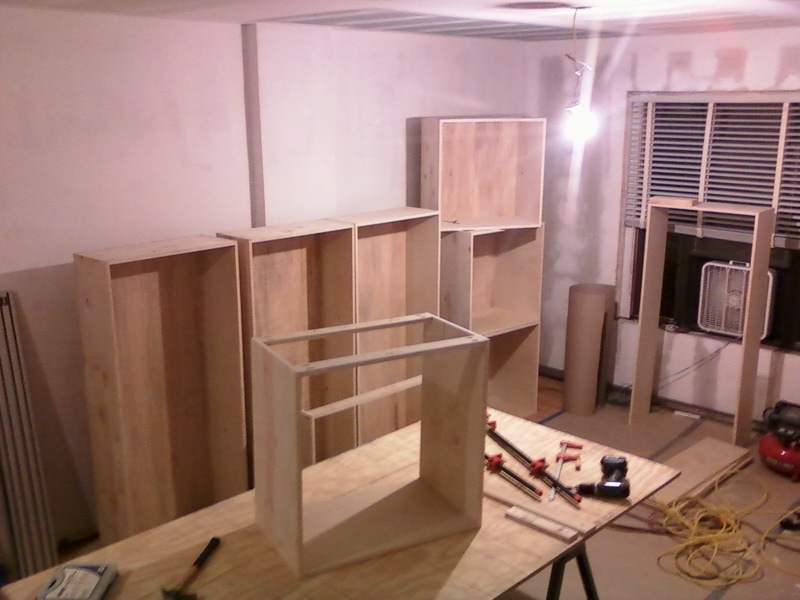 I built ten cabinet carcases this weekend. They will make up a large built in I'm creating for the living room. Here is the obligatory phone photo toward the end of Sunday night sometime. I apologize for skimping on the pictures lately. I think my camera is at work. Its honestly not at the top of my priority list. 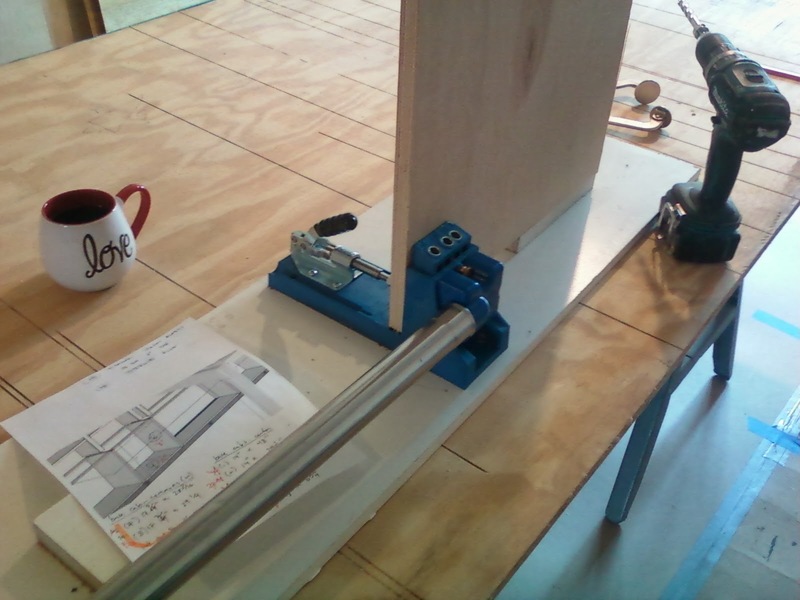 Earlier in the day Sunday: Makeshift kreg jig set up... I even lined this into a HEPA vac. Nothing rounds out an impressive shop set up like a masculine"love" mug. As always, I got the drawing handy that has my cut list. The cut list went really well. I picked up six (6) sheets of birch and only had a small handful of off cuts. The good thing about making your cabinets 12" deep (well, 11 7/8") is that your only waste cuts from a full sheet of ply is... sawdust! I live for that kind of stuff. I did make a layout error where I cut two "E"s instead of two "F"s.. so I had to cut into another full sheet. Bummer. But the good news is: I forgot to include shelves for the bottom cabinets, so I will likely use most of that sheet anyway. Anyway... time to get back to my Monday morning work hangover.